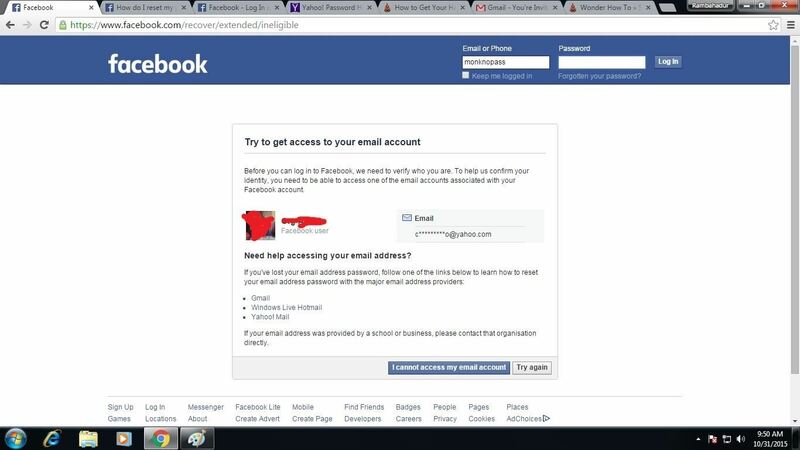 If your facebook account was hacked by someone and you really want it back this tutorial would help you get it back. 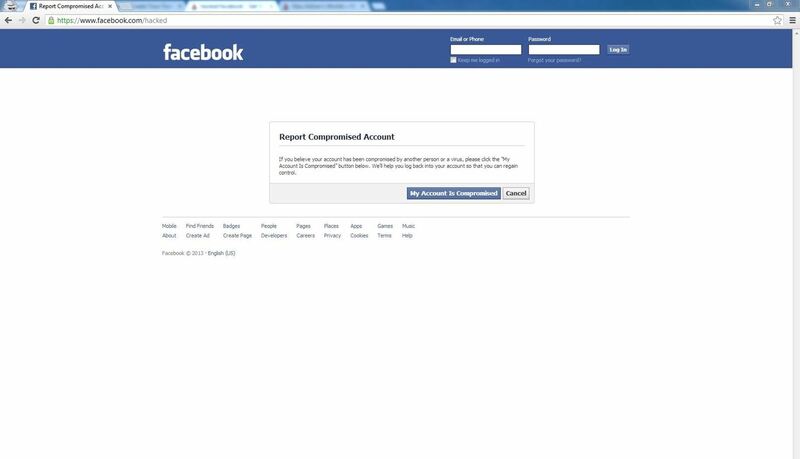 Click the button "Your account has been Compromised". Then type in your email address, Login name , Full Name or your specified Phone No. Then facebook would search for matching users. If you still don't see your account, try entering something else other than the one you entered. Well now the kind of difficult part begins. But I don't think it would be for you. Then cause you entered an old actually now wrong password this page will come up. Well no need to be down yet. Just click the reset my password button. Your primary email would be changed so well of course you don't want to send your reset your password link to the hacker's account so, Click "no longer have access to these?" link. Well now you almost got your account back. Now write your new email address that you want to send the change password link as well set as your primary email. 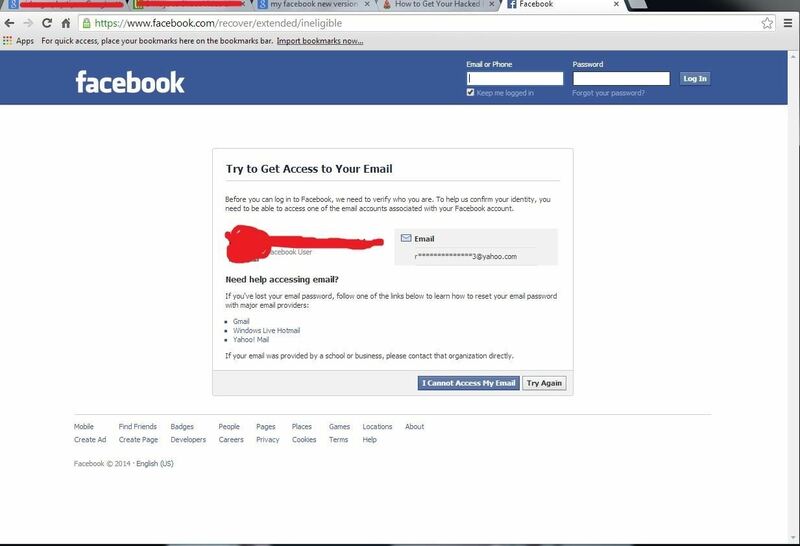 k0i mujhy meri faceb0ok ki id open kr d0o hacke h0o chuki hai k pta nae kea plzzz k0oi help kr0o meri ..
i did it but its asking me this V V and the hacked person told me that its the hacked person's sequirty question :( what should i do? my friend had to make a new account. it always shows this after step 4.. PLEASE HELP! hi I get this message too. did you get help? 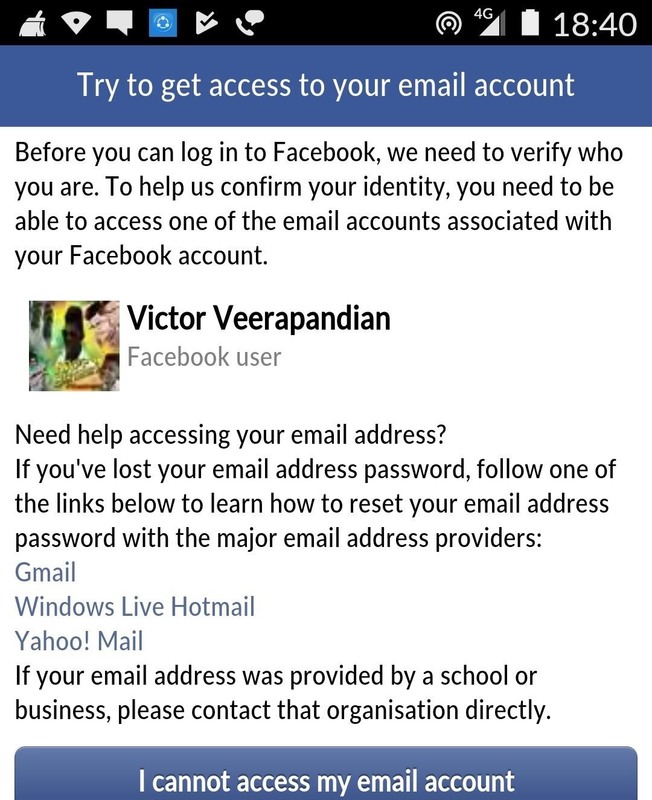 i followed those steps, but still cant access my hacked fb accounts, could anyone please help me other options? my girlfriends account has been hacked by an old boyfriend, firesheep doesnt seem to work anymore, she cant have the password link sent to a different email, she needs the one she logged in with. My brothers account was hacked and the hacker changed everything including email, phone number, and security questions, so how do we get around this? We are willing to pay for someone to help us regain control of his Facebook and yes provide proof it's actually him. My facebook was hacked and a link of me naked was posted asking my family and friends for money for meth. (super awesome) Well... I want to know how to relate the hack to a specific person. I have a phone number, email address, IP address, and cookie, browser used, and cookie. I have a strong feeling it was my ex girlfriend but how can I use the info I have to link it to her? This is partially useless, but I know that if you entered at your Facebook ALL REAL INFO and real profile pictures, there is a way to contact Facebook, have a videocall with them, show that is really you (with a identification card from the gouvern or something like this) and they will unset the password and all the recovery info so you can set it again. My friend did this but he doesn't remember how. I forget my email so please help me. How to get back my account. I forgot my password . Getting messages that my acct has been hacked. Trying to login and my email address does not exist keeps saying. Tried the steps you put on to do and nothing. 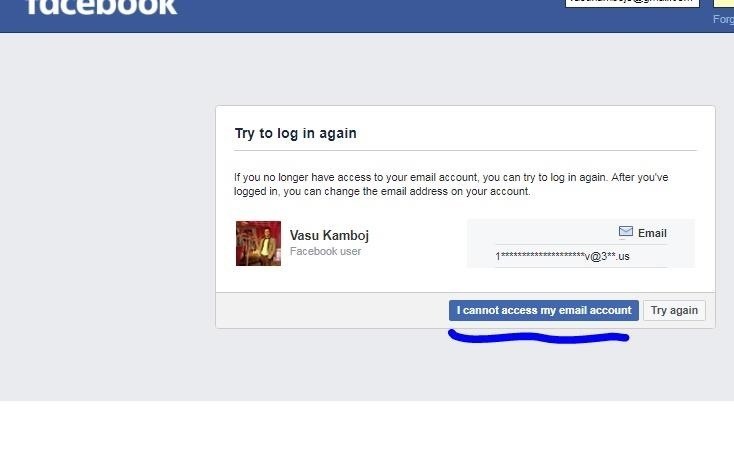 I need help to recover my friends facebook account? Can't log in at all. 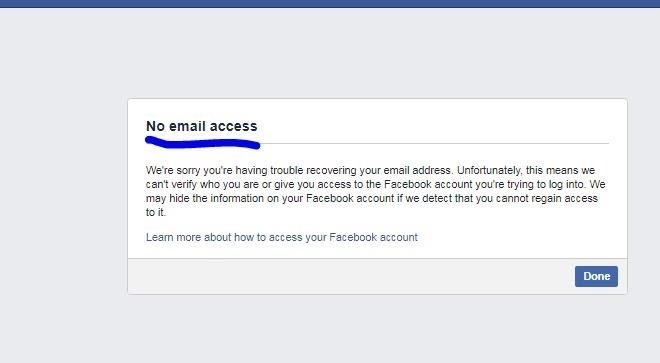 None of emails are working, can someone help help me recover her account. - without having to put in code from 3 trusted friends or secrete question.